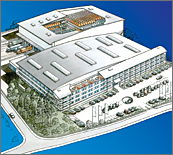 Global Notes is one of the largest manufacturers of sticky notes and related products in the world. With nearly 30 years of experience and long-standing customers on all continents, Global Notes is a strong and reliable partner for your sticky notes business. 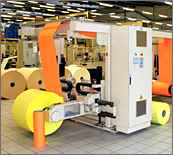 Our professional team and state-of-the-art manufacturing facility based in Northern Germany offers fast and flexible solutions for sticky notes with individuality! Our commitment to quality begins with the careful testing and selection of paper and other raw materials. The use of our water-based and solvent-free adhesive, which is exclusively produced in-house and continually tested in our lab, results in environmentally friendly products. Comprehensive quality control is maintained throughout the whole production process. In-house product, packaging and artwork development facilitates the continuing advancement of the inFO brand and provides perfect conditions for our customers’ private label products. A competent and experienced customer service team ensures quick turn-around, optimal order processing and timely communication. 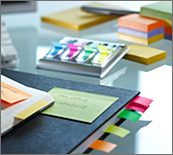 Whether you are looking for your own private label sticky notes or inFO branded products, Global Notes meets your requirements for high quality sticky notes and related products.